Annette King wants other women to follow the trail blazed by her and partner Emma de la Fosse. For many of us in this business, the partnerships we build at work are the backbone of our careers. I’ve been lucky enough to have had a number of particularly strong ones over the years. Partnerships with my clients, financial directors, PAs, pitch colleagues, peers and many more. But the strongest and longest is with my creative partner, Emma de la Fosse. 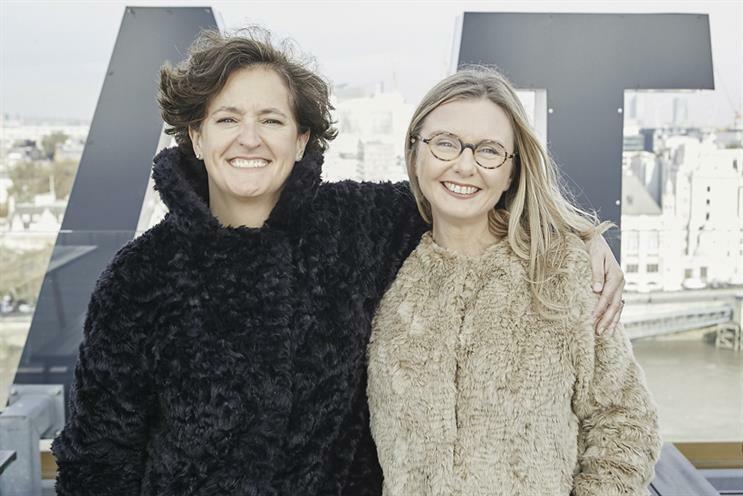 I’ve worked with Emma (pictured, right) since 2000, when I (pictured, left) joined Ogilvy on my return from five years in New York. I found myself sitting across from Emma and Charlie Wilson, hailed as the very best ideas team in OgilvyOne at the time, which they consistently proved themselves to be. Before long, a small group of us (including Emma) started what was to be a fantastic new-business journey and that’s when our bond really began to take hold. During the 16 years we’ve worked together, we’ve pitched, won, lost, produced some outstanding work for brave clients, jumped off cliffs, succeeded, failed, learned and laughed. A lot. And cried a bit. Well, I have. Emma’s not a crier. During that time, we’ve developed our own way of doing things. Shortcuts that we don’t even realise we’re making, language others don’t understand, ways of working that suit us. Ridiculous rituals that have to be followed in order for things to go well, "rules" for how we do things and a mutual passion for great work that actually works. As I write this, I realise that I’ve actually worked with her longer (only just) than I’ve known my husband! And now here we both are. Nothing has given me greater pleasure than asking Emma to take on the role of group chief creative officer at Ogilvy in the UK. Partly because she’s been my partner for so long and I’m delighted to have her back by my side, but mostly because she’s the right person for the job and I knew she would do it brilliantly. Ask anyone here and they’d agree. "You create your own f**king luck"
And we both happen to be women. I’d like to think that, first and foremost, we’re just the right people for the job but, as is becoming clearer as the issue quite rightly gets discussed and debated more and more, the fact that two women have the two most senior jobs at a big agency group in the UK is really, really important. And it should be much less of a rarity. We both have children. Two each. We both took full maternity leaves. I even got promoted during both of mine. Luck? Maybe, but someone (thank you, Stevie Spring) once told me "you create your own f**king luck" and over the years I’ve learned to agree. None of the parenthood stuff ever held either of us back or stopped us progressing, like it sadly has for other women. That’s largely because part of our "luck" comes from consciously choosing where we want to work. We both chose Ogilvy a long time ago and we both continue to choose it over time. It’s a company where we can do our thing, be authentic, work hard, do well and be recognised for it. The culture of this place is solidly founded on the values that David Ogilvy held dear, with fairness running through the very core of the company. "Women must get better at deciding what job they want next and making sure the right people know they want it"
So if we can do it, if Ogilvy can create the sort of environment where women are just as likely to get the big jobs as men are, then so can all agencies. We’re not super-keen on talking about ourselves or being put on any kind of pedestal, or being tagged as a sisterhood – but if, by writing this article, telling our story and, to some extent, blazing a bit of a trail to help change things for the better and, most importantly, the fairer, then that’s fine with us. Emma and I have work to do, across the whole group. We need more female creatives in our business – Ogilvy and the industry at large – as has been much discussed. We’ve set ourselves the goal of fixing this, at least in our agency, in the hope that this will also contribute to fixing it for the industry overall. It won’t happen overnight but it won’t happen at all if we don’t get off our backsides and do something about it. One last piece of advice. I asked my boss for this job. I didn’t get it straight away, largely because he hadn’t finished with it yet, but I did get it when it became available. And Emma has always been clear about how she has wanted her career to progress. She didn’t need to ask me to create the new role of group chief creative officer, as I was planning it anyway, but that’s not the point. We both made very clear to our bosses what we wanted. Call it ambition, call it having a plan. Call it what you want, I don’t really care. The fact is that the industry needs to change and those of us in positions that can influence that must do so. But, as importantly, the talented women out there must also get better at deciding what job they want next and making sure that the right people know that they want it. If, after working hard and feeling they’ve earned it, it doesn’t happen, it’s really up to them what they do next.